With the 2018/2019 Brut Australian Baseball League season done and dusted, now it's time to look back at how each team fared in reverse finishing order. Today we look at the Auckland Tuatara. Auckland began their inaugural campaign with back-to-back series against the eventual ABLCS combatants, and ended it with six weeks on the road as they compiled a 14-26 record in year number one. Their first win came in walkoff fashion against Brisbane in round two, and they ended their regular season on a high with a four-run victory over Melbourne. Inaugural signing Daniel Lamb-Hunt was one of the Tuatara's best offensively, finishing with a .282 batting average and a team-high 19 RBI (tied with Zach Clark), while Josh Collmenter proved his big-league quality on the bump. Collmenter was Auckland's workhorse, tossing a team-high 55 1/3 innings and leading the Tuatara with 44 strikeouts. Canadian native Brandon Marklund signed his first professional contract, inking a deal with the Kansas City Royals for the 2019 season, after an impressive season with Auckland. The Tuatara ranked third in the league for stolen bases, and recorded a 5.35 ERA. Their local talent has set them up for success. Daniel Lamb-Hunt, Max Brown, Luke Hansen and Beau Bishop should form Auckland's core again next season, and despite his ERA, Jimmy Boyce has the ability to lead the Tuatara rotation. Scratch his horror outing on December 27 and 21-year-old would have put together a strong inaugural campaign, as he was the only Tuatara player to make a start in every regular season series. 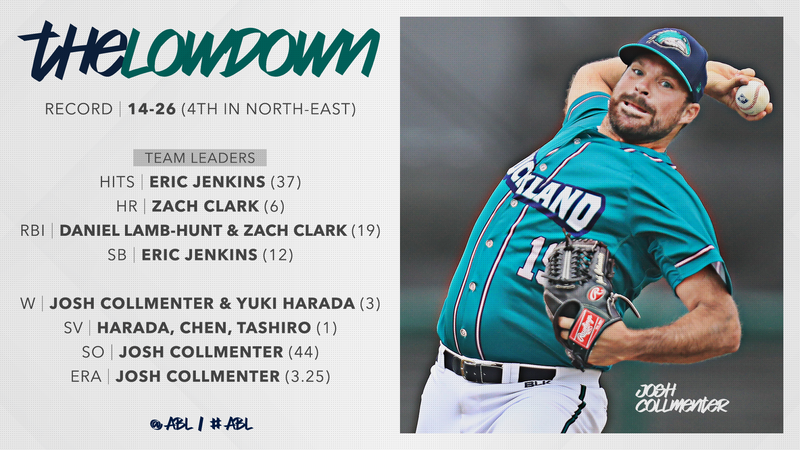 Auckland used a league-high 10 starting pitchers in their inaugural season, and were handcuffed by a number of international professional teams. None of Tomohito Sakai, Atsuki Taneichi (Chiba Lotte), Tsai Yi-hsuan, Kuo Chun-wei (UniLions) and Nick Tanielu (Astros) played a full season, as manager Steve Mintz was forced to frequently tinker with his lineup. Defeated Brisbane 3-2 at OneHub Stadium powered by Optus on January 3. Taking on the four-time champs on their home deck is no easy feat, especially after a number of weeks on the road. Those factors mattered little to the Tuatara as Josh Collmenter anchored a memorable extra innings win. Collmenter fanned seven and only allowed one earned run in a special duel with Travis Blackley, who also tossed seven innings. Brisbane tied things up in the sixth, but Brandon Marklund and Luke Hansen came up big late. Marklund tossed two spectacular relief innings, while Hansen nailed a two-RBI double in the 10th, scoring the eventual game-winning runs. The Texas Rangers farmhand was a sparkplug at the top of Steve Mintz's lineup, as the second round draft pick showed off plenty of talent. Jenkins nailed three homers and stole a team-high 12 bases (t-3rd in the league), to go with eight doubles and two triples. 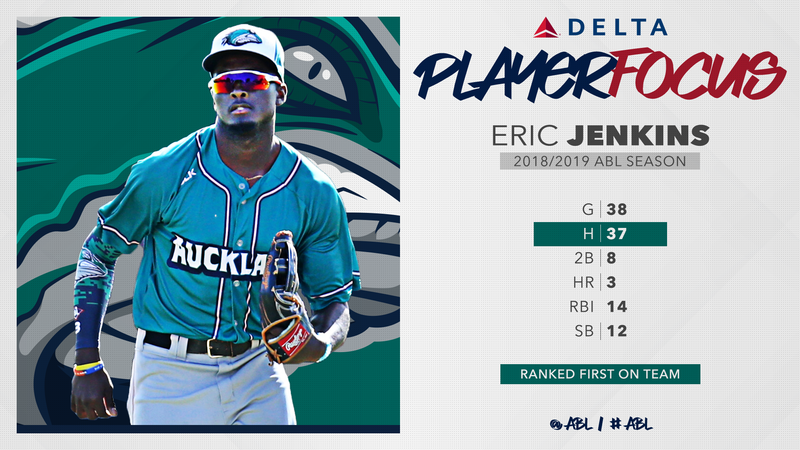 A two-time Brut Team of the Week member, Jenkins claimed hits in 10 of his last 13 games, and will be one to keep an eye on during the ABL offseason. Kyle Glogoski's coming of age. The 20-year-old only made four starts this season, but was ultra-impressive in each of them. Glogoski began his year with five hitless innings against the Heat in round one, before backing it up with his first ever ABL win in round two. Glogoski fanned six in five one-hit innings against the Bandits in week two, and finished the season with a 1.37 ERA. Coming off a stellar first season in professional baseball, Glogoski will return to Phillies spring training again. Auckland showed glimpses of brilliance in their debut season, and will relish their home games at QBE Stadium in 2019/20. Their offence struggled at time - falling victim to high strikeout numbers - but they were rarely dominated and have set themselves up for a strong sophomore campaign.